Gaming performance is improved by overclocking the CPU and the GPU, but there are a few other things that you can and should do to get more boost out of your gaming system. Sometime making some changes to the system before tweaking the in-game settings can go a long way in improving your system for gaming. Driver updates are critical to gaming performance for the simple reason that new features and bug fixes are introduced in them. So if you have a card that is running on driver that probably was installed a year ago, it is running at 10-20 per cent slower than normal. 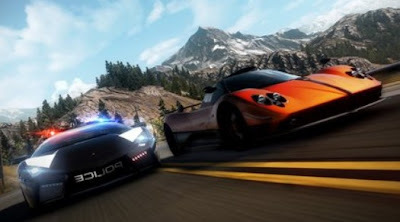 Visit the game publishers website in case you are facing a problem which is known. There could be a patch or hot-fix for that problem which can solve the problem and improve your gaming speeds. As the name suggests this is one nifty software that every gamer should have on their PC. It is a free-to-use software (http://goo.gl/9Ytp). 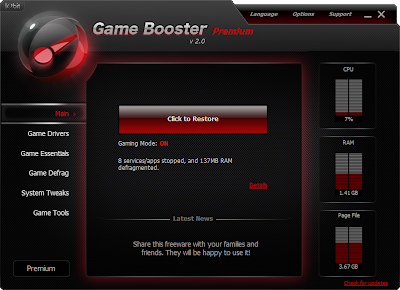 Game Booster optimizes your system for gaming by disabling various services temporarily that can affect gaming performance. 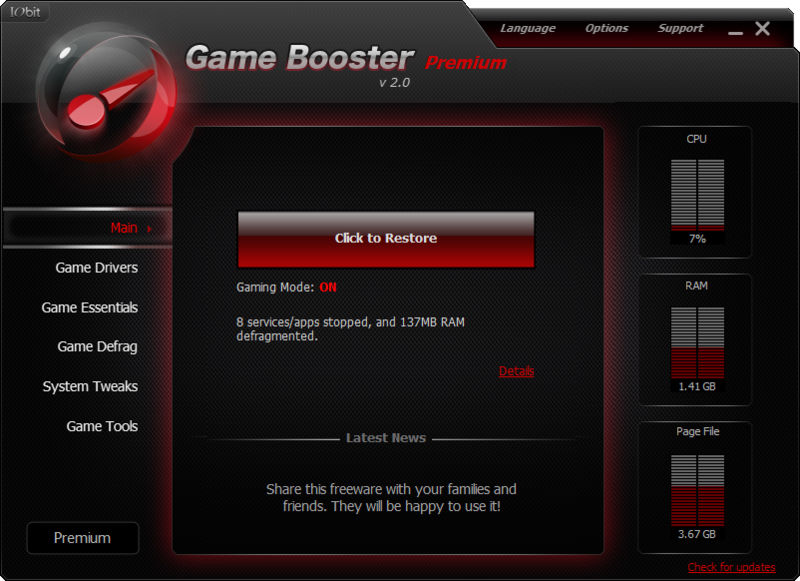 There are other options in Game Booster like Game Drivers, which checks for latest updates of your graphic card, sound and network drivers. Having the latest driver is critical to gaming performance. Then there is Game Defrag menu which will defrag your gaming directories, so that games load faster. Game Tools has features that can be customized by the user such as mouse settings, power settings, controller settings, etc. As you are looking at better performance in gaming and all your graphic details are being taken care of by the GPU, you should set your system for best performance by following the steps below. Click Start, right-click Computer, click Properties, and then click Advanced system settings. On the Advanced tab, click Settings under Performance. On the Visual Effects tab, click Adjust for best performance, and then click OK. Click OK to close the System Properties dialog box. Test your game. This can have a huge impact on improving your gaming performance as it uses a lot of your processing power. V-Sync if enabled, prevents the next frame from being displayed unless the present one has been fully rendered. This is not desirable in games that require fast responses. Many games give you the option to improve details like dynamic lighting, water ripples, etc., for giving you a richer gaming experience. While it all sounds good, it does use up your cards processing power. So unless you have a very fast or high spec card, it is best to keep these fine adjustments disabled. Anti-aliasing is a process which helps in smoothening the jagged edges. For instance, while gaming we come across lots of sharp objects which look pixelated at the edges such as leaves, wires, etc. which is called aliasing. So antialiasing will try to work on those pixels on the edge to give you smooth edges and better image quality. But this will reduce the performance of your graphic card to some extent. So unless you have a very powerful graphic card, it is pointless to crank up the anti-aliasing filter to an extent where your gameplay is affected. After anti-aliasing; you will come across this term - Anisotropic filtering (AF) - a lot in your game settings menu. Anisotropic filtering tries to enhance the sharpness and clarity of textured object. Textured objects consist of different types of data such as color, transparency, among others. It is best to keep it disabled unless you have a powerful graphics solution.